BIBLE ANSWERS: Understanding Biblical Typology! Does God Use O. T. Typology to Explain Spiritual Things in the New Testament? (ver 1.1) I received a very disturbing comment from a potentially confused reader concerning the latest Bible study lesson given to me by the Holy Spirit. This lesson was regarding the subject of the Rapture that has been hidden by God within O.T. Typology. While I generally ignore critics, I felt led by the Spirit of God to answer this comment publically in order to potentially help someone else that this person might teach these untruths to. A few of my critics are some of the unsaved people of the world but the majority of them are very carnal Christians that do not understand the spiritual meat found in the Bible. Anyone with a growing level of spiritual maturity should be able to see the truths of the deep spiritual knowledge that God is sharing. I certainly realize that there are still many milk drinking Christians that are not capable of receiving meat. That is why I try to regress into milk subjects occasionally to help everyone grow. According to this commenter’s beliefs the use of “Typology” is not an established, valid or sound method of Exegesis or Hermeneutics. I would have laughed at their comment if it was not so saddening. There is a major problem occurring within the body of Christ today where people who think more highly of their personal knowledge and abilities come to correct others before attempting to learn what was stated. This is happening constantly on Facebook and on many other internet websites. People that come to teach others without asking ANY questions to the teacher is a display of their human pride in their own knowledge and understanding of every verse in the Bible. People just might discover their ignorance if they would only open up their minds to think and learn to find answers to a few simple questions in order to understand why what was stated was taught. By the nature of this man’s comment I understood that he was un-teachable and I did not reply to him. If they read this article that was their response I would be shocked. I have said this before but it is worthy of repetition. My favorite non-Bible quote is by Will Rogers when he said “We are all ignorant, just about different things”. That was so profound and accurate that I cannot say it enough. I am a Bible teacher not because I know everything or because I agree and teach what you want me to say. I’m called by God and only accountable to Him and I will be judged for the content of my message according to if I have heard from Him correctly. Therefore I take this responsibility with great concern and respect. I do not publish free Advanced Bible lessons because that is what I wanted to do. If the Spirit of God does not lead me to teach a subject then I am silent on that subject. Why then does anyone judge me or anyone else to correct us using their own limited knowledge (Romans 14:10-13)? Have they appointed themselves to be my judge (1 Cor 6:6)? Of the gifts of the Spirit listed in the New Testament, I do not recall any that are referred as the judge’s anointing. Don’t you realize that the world is watching your arguments and laughing at them? Christian arguments are placing stumbling blocks before those that do not believe but still need to be saved. I personally believe these argument stumbling block people will be judged very severely for not helping others to come into the kingdom. If you do not like my Bible lessons, just go somewhere else and find someone you like. I’m not going to argue with you or debate you on any subject! Let’s let God be true and every man a liar. Why is the use of Typology a valid form of correct Bible Interpretation? How did God conceal Typology in the Old Testament? How is Typology revealed by God in the New Testament? Why did God use Typology in the Bible? I will definitely warn you at the beginning that this Bible lesson will be one of the most advanced complex deep spiritual subjects that is found on my website. The title on my website is “Advanced Bible Study” and this will be one that qualifies for this category of lessons. If you are a brand new Christian or not a very mature spiritual Christians then I really do not recommend that you try to study this subject. I am going to need to go over some very advanced concepts and some very technical definitions. This is just a word of warning of what will come next. WHAT IS EXEGESIS AND HERMENEUTICS? As you can read both words exegesis and hermeneutics deal with Bible interpretation methods. But the most important word in this description that must be observed is the given term “THEORY”. Does God have any theories? I do not believe that He does since He knows everything. Is the Bible a book of theories? Again I do not believe it is simply because the God of infinite knowledge and wisdom is the author. Therefore, if God is not the source of human theories then we need to ask “Why do humans resort to theories?” Let me give you a definition of a theory. A theory should be defined as any subject being discussed which is based entirely upon human ignorance of all of the known true facts of the subject. In other words if we knew and correctly understood all of the true facts of any given subject we would have no need for any further theories or theoretical discussions. Do you understand what I am teaching? A theory is completely derived from the lack of sufficient evidence or proof to support it. A theory is also totally originated from human speculation, rumor, assumption, conjecture and guesswork. All of these are synonyms for what a theory represents. People today often believe theories to be science and that is not accurate. The theory of evolution lacks any sufficient proof for its existence to be taught but yet is widely accepted by ignorant students to be a fact. Just because a subject is widely accepted does not make it a truth. This is the same that is true for man’s theories of exegesis. Human theories are always based upon inadequate fallible human reasoning and thought which attempts to teach or explain something that is not completely known or understood by the speaker. Therefore according to Wikipedia “exegesis” and “hermeneutics” are both human attempts at theories for interpretation based upon the lack of sufficient known facts to prove or verify their accuracy. That is the primary purpose of the rest of this Bible lesson today. I am here to relieve your ignorance and present you with the God given Bible facts on this very important subject of Typology so that you can depart from your exegesis theories and believe the truth of God. The main point in this part of the lesson is that man’s theories of exegesis are always trumped and overruled by God’s facts every time. I seriously hope that you believe what God says in His Word and will choose to ignore what ignorant men say in order to not be led astray. What I have been attempting to introduce you to is the fact that human theories of exegesis are only necessary today because people have not yet discovered or do not completely understand ALL of the true facts for the subject of correct Bible interpretation revealed by God in the Bible. God gives us an amazing set of lessons in His word concerning correct Bible interpretation. He defines very specific rules for interpretation. He defines very sound methods for correct Bible interpretation. He even gives us many great examples of each type of interpretation for us to learn from and apply to our study. This will be the focus for the rest of the Bible lesson. But before we do that let’s talk briefly about hermeneutics. According to Wikipedia, the subject of hermeneutics is a more inclusive discipline for interpretation including the entire framework of the interpretative process. I found that statement to be very oxymoronic and contradictory to their previous statement of it being a theory of human work. This statement of the “entire framework” clearly “assumes” in error that they know and understand the complete process. To state that a discipline includes everything means that they know and understand it all and that is clearly not the case. What is being stated here is the fact that they just said it was a theory and then they changed positions attempting to define it to be all-inclusive and all knowing. There is absolutely no way that is possible. You need to be careful when you read human explanations for what words mean. If there are contradictions then there are problems. But here is another very interesting point to consider about the subject of Hermeneutics. This word is derived from a pagan Greek name of a mythological god called “Hermes” which was their false messenger god. It would stand to reason from knowing this fact that anything to do with Hermeneutics is potentially a demonically inspired distraction from obtaining the real truth of God in His Word. What did I just say? I said if Hermes was a Satan inspired distraction from the true and living God then “Hermeneutics” could be the same. What we should observer by the review of Hermeneutics and Exegesis is that they are both man’s attempt at creating rules to define how to understand a God that they clearly do not understand. This is one of the main reasons that I avoid any manmade rules and theories of Bible interpretation. I long to only know what God says on the subject of interpretation and I will follow only Him completely and whole heartedly. I could have talked a lot more about those two words but this was a brief overview and certainly not a detailed book discussion of the subjects. 1. The study or systematic classification of types that have characteristics or traits in common. I thought this was an excellent definition. Can you see any differences between this and exegesis with your first review of the word typology? First understand that typology is NOT defined to be a theory. It is not based upon indeterminate human speculation. There is no reference to it being a theoretical effort of work like we saw in the definition of exegesis. Next, I would like to emphasize what this word means. Begin with the initial part of the definition to see that Typology represents a “STUDY” or a “CLASSIFICATION”. Right there this teaches us the fact that it is a clear effort of human labor which is predominately based upon observation. Study implies that someone is attempting to discover, learn and understand the known facts from either God or from any human subject teacher. Bible Study should be defined as the “acquisition of Bible knowledge” and Bible knowledge should be defined as “any established facts of truth found within the Bible context”. Therefore we have no theories involved in true Bible study. Did you understand what I just said? Typology is not a theory, but rather it is a study method and that is extremely insightful. If a person studies the subject of how automobile engines work they are seeking to learn the established facts of these machines and there should be no desire to learn from any speculative theories or opinions from people who have never built one, worked on one, repaired one or learned how they work or can even operate one personally from experience. Did you understand that automotive analogy? What I was attempting to say is that any serious Bible student should not need to learn from any man that teaches on the basis of theories because the true facts can only found in God’s Word. According to God “study” is a personal effort of labor. The Greek word that was translated as “workman” in this verse is G2040 and it literally means “a toiler”, “a worker” and “a laborer”. This Greek word comes from a root word that means “to work”. I believe that it is now self-evident that study is a level of extended effort way beyond just reading the text on the pages. Reading has never been studying, but studying does involve reading. God very clearly says here in this verse that if we do not study the Bible that we may fall into a negative state of shame someday. Therefore Bible study is a requirement given from God by N.T. command. This is very good and important information to consider. I could spend a lot of time talking about study, how to study and how study works and the application to the spiritual man but that is not my main subject here in this lesson. I will briefly teach an overview of spiritual study to help you get started. The human spirit is incapable of any Bible study without the engagement of the human mind’s comprehensive application. Why is this mind and spirit interaction a necessity? It is because of the divinely created triune state of a human. The triune nature of a human is first the visible exterior body layer, the next layer of the human makeup is the invisible interior middle layer called the mind or soul and the final unseen layer is the innermost center of the living being called the spirit or heart. In Matthew 9:4 Jesus said to the people “Why do you think evil in your hearts”. The heart of man is the spirit of man and Jesus was connecting the two interior human realms together to teach how they work in unison. From that statement in Mathew Jesus just revealed that the heart of man can be in one of two states, either evil or good. All humans by nature are evil from the age of accountability which came from the works of their father Adam being passed down to his every descendant. How then do we get the evil out and allow the good to enter to replace it? Romans 12:2 will provide a clue to this answer by God commanding us to “be transformed by the renewing of our minds”. I personally believe this is like computers and the old computer programmer saying that went “Put Garbage In, Get Garbage Out”. In other words what you allow to be placed into your heart through your mind’s eye is what will be produced outwardly. Like I said this is a very deep subject to even try to mention here in a paragraph so please read some of my other lessons or ask questions if you do not understand the nature of a human and how the parts work together. Now let’s research the term “classification” found within the “typology” definition. According to the dictionary this word means “the act or process of classifying things based upon common qualities or characteristics”. Again we are not concerned with any theories simply because classification is only dealing with the observable facts between two or more objects. What we are witnessing is that classification is a formalized approach to organization. Did you notice God’s inclusion of classification within the verse we just read in 1Timothy 2:15 about study? What does it mean to “rightly divide” the Word of Truth? Rightly dividing is a synonymous work of classification. God is literally saying that we need to organize the truth into proper like groups in order to understand it and that is called typology whether you believe it or not. This means when we study a subject in the Bible we may need to correctly observe the facts and then organize these facts in order to understand any of them. Perhaps, it will help if we first understand the definition for the term “classifying”. This word means “the systematic arrangement in groups or categories according to fixed established criteria”. Again this is a form of division and organization. To organize anything you must divide it up within known like categories. This is exactly what God was saying in 1Timothy 2:15 when he said to rightly divide the word of truth. To rightly divide God’s truth it must be classified into like categories. The antithesis truth to rightly dividing is wrongly dividing and this simply means that people can easily put truths in improper groups or categories of organization. I really hope that you are grasping these deep complex concepts found in God’s Word. Organization is just a bad word to many people because it involves work again. Clearly we learned from God in 1Timothy 2:15 that work is involved in correct Bible study. This literally teaches us that organization must be a part of the same effort. Therefore if you are a lazy Christian you will never study the Bible. What I have observed from my Bible study is the fact that God is a highly organized being. There is no unorganized chaos found within God or His creation. Look around you and you will observe order everywhere you look. Order and organization do not originate from or appear from disordered chaos. It only stands to reason that if God operates in the realm of order and has created order then His Word must also be organized in some manner that would reflect His own divine qualities. This is one of the main reasons why I believe in Typology so strongly and we are about to learn many other great reasons soon. Done or acting according to a fixed plan or system; methodical. The action or process of classifying something according to shared qualities or characteristics. Like I have tried to say before,” classification” represents the human work of organizing and grouping like objects together based upon observable common features, characteristics, patterns, or any other standard observable qualities of similarity. Is classification a good or an evil system or method of work? Surely you can see that it is all good. Where did classification originate from man or God? I am firm believer that if you can see that classification is good and not evil then it had to have originated from God based upon what God said in James 1:17. Go read that verse and you should see what I mean. I have talked about this concept of classification in several of my Bible studies on this website. Classifying like objects together is based upon basic mathematical set rules. Every object of a like nature can be grouped together in a common set and can be referenced by the superior group label or title. Each object in the set is unique but they are capable of being organized together because of the common feature being associated together. For example, the mammal classification or set of created beings will have in common certain observable facts that they are all 1) warm blooded 2) vertebrate 3) animals. Therefore any animal that fits this rule based description can be included in the set called mammals. That is what classification represents. Is this too complicated for a Bible study? Concluding this part of the technical discussion we have learned that typology is the study of the systematic (rules based unchanging well defined methods) of classifying (organizing and grouping together) like or related individual objects (people, places, events and things) sharing common features or common characteristics. What this teaches us is that by learning about one object in the defined set we can apply this knowledge to learn about every other object in the set in some limited degree of defined classification. I might be going over the heads of many of my readers with this technical discussion about how types work but we need to learn this or remain ignorant. 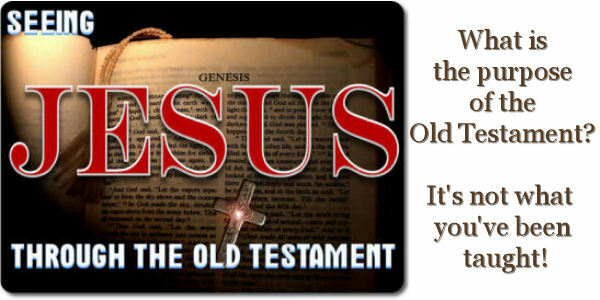 We need to learn these are God given facts and that in order to understand many things found in the New Testament correctly it requires us to obtain correct knowledge of the given Old Testament types. God’s use of Typology contains very specific classifications of like subjects, actions, individuals, groups, people, created objects, etc. that help us to understand spiritual things that we have never seen before. Are you beginning to grasp the significance of this subject? Let’s start an introduction to the subject of types found in the Bible. Let me take you into the classification of created man to help you understand that God declared the existence of types all the way back in Genesis 1. 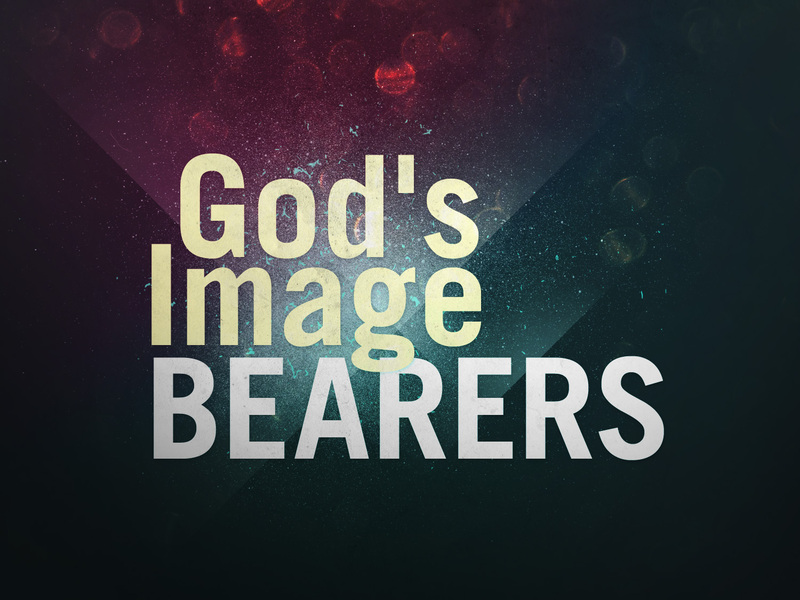 In Genesis 1:26 God says “Let us make man in our image and after our likeness…”. Man being the literal image and likeness of Almighty God is a mind blowing concept that is ignored by many Christians. The angels of God could look at created man and immediately see the features and characteristics of God being demonstrated and repeated. Man being made in God’s image is the definition of the word found within types and typology. The created man possessed the common qualities and features of God by God’s design and purpose. This Bible fact makes created man a literal “type” of the God class of beings using these common observable characteristics. I know that is not very religious sounding but it is what the Bible says. By observing the original created design in man we can perceive the unseen qualities of God and learn about Him in so many ways. I do not have time to go into this subject fully today but I will give a quick overview of it. For example God is described in the Bible to be a triune being. Man was also created as a triune being consisting of three distinct and separate parts that comprise the whole as I mentioned earlier in this lesson. God is described with a mind and man was created with the same likeness of mental capacity with reasoning and thought. God speaks words audibly and man was created after this same pattern as a speaking individual. I hope that you will do more research or even ask questions if you do not understand how that God can be observed in a created being called man. Also do not misunderstand what I was saying about man being in the God class of beings. I was not declaring man to be equal to God so put down your stones. What I am beginning to teach is that spiritual things existed before there were any natural things and these naturally created things came from existing spiritual patterns, types and objects that were found present in the spiritual realm. I could teach this subject for a long time but I will not do a comprehensive inclusion of every characteristic of man as a type of God in the Bible. The primary point from Genesis 1:26 was that God existed eternally before man existed but yet when God created man He placed Himself as the pattern within the man. One of the main points from Genesis 1:26 is the fact that anything with like characteristics represents a type and fits within the typology definition. We will learn a lot more about this from the New Testament as we continue to study so do not yet give up or despair that you are not grasping it fully yet. This is another extremely important verse to learn. It directly teaches us that there is another city in heaven named Jerusalem where the angels of God reside. When were angels created? That is a very difficult question to answer since we are never directly informed of this event in the Bible that I know of. There are several verses that indicate to us that angels were created long before man existed. I do not have time to teach them in this lesson but they are in some of my other Bible lessons on angels and creation. What we are observing is the realization that spiritual things existed before natural things but they can also both exist concurrently at the same time. We are also beginning to understand that some of these natural things have been modeled after the original spiritual things and even named the same. The Jerusalem that is on the earth is certainly not the Jerusalem just mentioned that was found in heaven. But by God calling them by the same name this teaches us the valid existence of typology. Also if you go and read back in Galatians 4:24 you will discover that both of these cities represent covenants with God. That gives them common features causing a likeness that can be grouped or classified together. Wow, I am hoping that you can understand and apply the typology concepts here to this information given to us by God. What I am trying to say is that both of these cities belong to the classification called “Jerusalem cities”. Therefore we can learn about one of them and this knowledge will teach us many things about the other one and vice versa. If the Jerusalem below had a temple then the city above has the same type of feature. 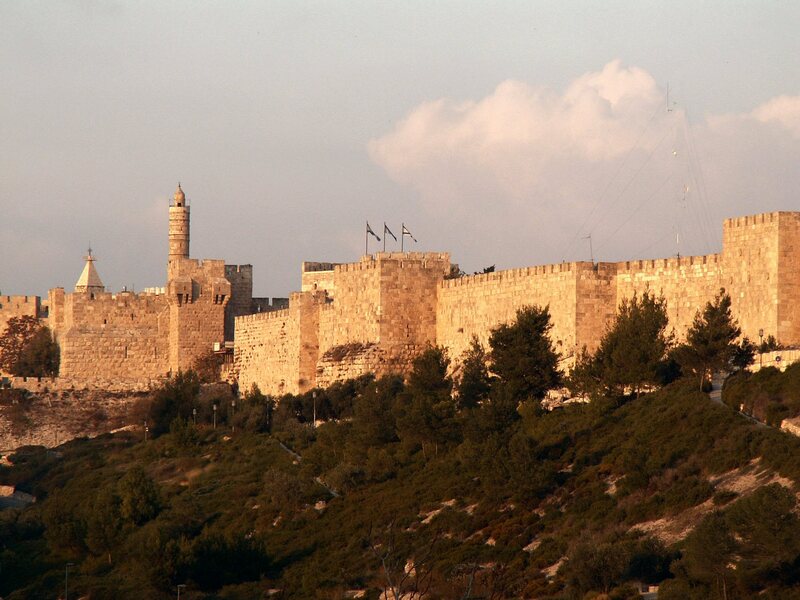 If the Jerusalem below has a high priest then the city above will contain the same type of feature. If the Jerusalem below was the home of a nation of God’s people then the city above will have the same characteristics. We could just go on and on with this subject of Jerusalem for a very long time but that was enough to get you started thinking. I will end this part of the introduction to this O.T. Bible typology discussion by trying to emphasize again that the naturally created things here on the earth will always point us back to the unseen spiritual things that existed before (Rom 1:20). This is what God reveals to us in the New Testament and we will now explore more examples of this divine use of typology in the next section. Act 7:44 Our fathers had the tabernacle of witness in the wilderness, as he had appointed, speaking unto Moses, that he should make it according to the fashion that he had seen. Exo 25:40 “See that you make them after the pattern for them, which was shown to you on the mountain. God again tells Moses directly that the objects of the temple will be made after the “pattern” that was given to him on the mountain. If you do not understand the concept of patterns in creation you will never correctly understand the Bible. A pattern is a creation technique and/or a device that causes duplicates to occur. A pattern is used to recreate any original work of creation. This is used in manufacturing, the garment creation industry, construction, automotive manufacturing and many other human work efforts. Man did not invent this method of work, God did! Please take a look at the definition for the Hebrew word H8403 translated as “pattern”. From H1129; structure; by implication a model, resemblance: – figure, form, likeness, pattern, similitude. Does any of this definition sound familiar to what we have been covering in this Bible lesson? Take what I taught first in the previous section about Adam being made in the likeness of God. That was a different Hebrew word in Genesis 1:26 but the meanings are very synonymous. Both Hebrew words mean a resemblance or a model from a pattern. Strong even places the word “pattern” as a legal definition and that is what was translated in KJV Bible. Let’s go back to Hebrew 8:5 and look up the three Greek words that I was telling you were important to this subject. The first word is G5262 that was translated as “example”. What is an example? According to the dictionary an example is “a thing characteristic of its kind or illustrating a general rule”. Wow, that is the definition of a type within typology if I ever heard of one. God is teaching you some very profound truths located in the Bible and I pray that you are not letting them slip away from your mind. Again in the Strong’s definition we see concretely the words “likeness”, “model”, “resemblance” and “pattern”. Learn these words and remember them. See how they apply to Adam and God and then we will continue to learn how they apply to other types to come. Apparently a primary word; “shade” or a shadow (literally or figuratively [darkness of error or an adumbration]): – shadow. From G5180; a die (as struck), that is, (by implication) a stamp or scar; by analogy a shape, that is, a statue, (figuratively) style or resemblance; specifically a sampler (“type”), that is, a model (for imitation) or instance (for warning): – en- (ex-) ample, fashion, figure, form, manner, pattern, print. This Greek word is also one of the most important found in the verse and is the best description yet of typology. Please observe the concepts given in the definition. Do you know what a “die” is? 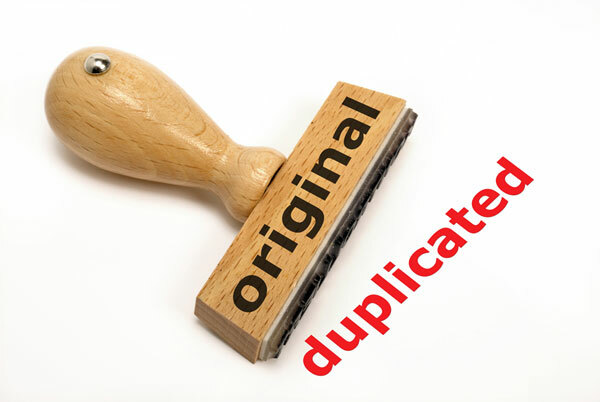 This device is used in the manufacturing process to create duplicate objects. It is usually made of metal and hollow on the inside where other metal or plastic can be poured into it to harden and become a new identical piece. There are other types of these tools that are also used as stamps to leave an impression of an identical image. This is a common type of tool used in leather work. The idea that the one tool leaves a repeatable image in something represents another description of what Typology is to God as you can observe by continuing to read the rest of the definition. The key word in this definition is the word “TYPE”. It means that you can look at the thing being spoken of as a model of something else that is not normally revealed. Patterns are also found in this definition. We now have three different Greek words to search for in our Bible to learn how God uses them. These are essential elements to understanding Bible Typology. We have just covered the foundational basics for the subject and will now begin to explore the dynamics of some of the other aspects found within the New Testament. GOD’S DETAILED USAGE OF O.T. TYPES AND SHADOWS IN THE N.T. Ecc 1:9 The thing that hath been, it is that which shall be; and that which is done is that which shall be done: and there is no new thing under the sun. Rom 5:14 Nevertheless death reigned from Adam to Moses, even over them that had not sinned after the similitude of Adam’s transgression, who is the figure of him that was to come. This is God’s commentary on the creation of Adam in Genesis 1 and 2. In this N.T. explanation God very specifically reveals that Adam was a “TYPE” of the coming Lord Jesus. We can further confirm this truth by observing how God called Jesus the “Last Adam” in 1 Corinthians 15:45. What we are learning here in these two verses is further confirmation that God can use duplicate names like Adam or Jerusalem to establish a valid type set comparison and relationship. This concept was exactly what I taught you previously about the name of the city of Jerusalem. God will often repeat the name of an O.T. reality calling it HEAVENLY, NEW, LAST or by using some other adjective modified form to cause it to be known that it is not the same object as the one mentioned previously but is rather a new type of that one. If you continue to study this subject of typology you will soon discover that God will use a natural named reality found in the Old Testament to teach us about a spiritual reality again and again. The Greek word that was translated as “figure” in this verse in Romans is the repeated key word that was covered in the last section concerning the temple that Moses built in Hebrews 8:5. Do you remember the Greek word G5179 that meant a “die” or a “stamp”? How can Adam be called a stamped pattern of Jesus? By not understanding this word and how to apply it to Jesus will cause you to totally miss the very important message being taught by God concerning the legitimacy of typology. Can we agree to at least try to learn and understand what God wants us to know about this subject? If you recall from the definition of G5179 it was based upon an engraving process, a printing press process, or even a modern “model” building process. When I was a kid I use to like to build models. I would buy them and then put them together trying to follow the instructions with glue and the finished model would “resemble” a real airplane that could be flown in the Air Force. It was such a great lesson of what is happening in this God example given to us in Romans 5:14. God is saying Adam is not Jesus but the resemblance and characteristics that he possessed clearly point us to Jesus using typology. It is exactly the same as the model airplane is not the greater real airplane but it teaches us and points us to what the real airplane looks like. That is obviously one of the greatest values for the existence of typology in the Bible. God says by us using typology that we can learn about Jesus from reading about a naturally created man named Adam. Wow, I wonder, how this Adam truth of Biblical typology fits into your theoretical rules of correct hermeneutics and exegesis. According to some believers and Bible teachers today God is incorrectly interpreting His own scriptures by using typology. Who among us believes that God knows what He is doing here? I choose to believe this very strongly and that is why you cannot talk me out of it with your manmade exegesis rules. I can still hear many questioning how this reality is possible that Adam was a type of Jesus. I really do not have time to teach that in depth in this lesson today since that is not the main subject of this study. I will tell you that if Adam had a wife that came out of his side then Jesus will also have a wife that will come out of His side. That is one of the most profound hidden truths concerning the Adam typology. I will tell you that the law of marriage given to natural Israel in Genesis 2:24 is quoted in Ephesians 5 where God is talking about husbands and wives. In this chapter of Ephesians, God clearly reveals the wife of Christ Jesus to be the church. If you do not understand how this typology is possible either, ask questions or go read some more Bible lessons where I talk about this very important subject. I hope that I can challenge you do a study of Adam now with a new set of Jesus spiritual viewers on. God has just concretely confirmed the existence of O.T. types and shadows. From G3664; resemblance: – like as, similitude. Nowhere in these verses does it say specifically that Moses is a type of Jesus by using the 4 key Greek words that we have already found, but yet the description given to us is exactly within the context of the Typology subject discussion. Both men are said to be faithful. Both men are said to be “servants”. Both men are said to be builders of houses. Those few characteristics give them commonality that can be classified together. This is the definition of typology again. Can you see it? Of the two being referred to Jesus is clearly called the greater. This again is the repeated pattern of creation coming full circle. The greater God created the lesser man named Adam and then the greater God became like a lesser man Adam who died and has now been raised up to life again and exalted back into the realm of greatness. I am trying to teach the effectiveness and validity of Typology using as many examples as possible in this limited format lesson. I hope that you can seeing these for what they really are and learn how to apply them to your Bible Study going forward. Let’s talk about another aspect of Moses being a type of Jesus before we leave this part of the study. If you recall the story of Moses he was chosen by God and deemed to be the “deliverer” of the natural nation of Israel. Again these were all types that pointed us to what Jesus did. Jesus was chosen by God and He was the “deliverer” of the whole world from Satan’s kingdom of darkness. The whole O.T. story of the deliverance of the people of natural Israel from Egypt is an extremely important lesson using Typology of how God brought the N.T. people out of the realm of control from Satan. Natural Israel was captive for 430 years in Egypt and the people of the earth were held captive to Satan for 4030 years. The natural story occurs in Exodus as a type but the greater story of deliverance was given to us by God in the Gospels and then revealed in the letters written to the church. If you still can’t understand these concepts after all of this I am beginning to think that I can’t help you. I would suggest that you go to Ephesians 1:16 and pray the prayer that Paul prayed for the church at Ephesus for God to open the eyes of their spiritual understanding to see the wisdom and revelation of Christ Jesus. If you pray this for yourself I know God will answer it because that is what He did for me. Always remember that before these N.T. church letters were written there were only the Old Testament scriptures to find Jesus in. Acts 17:11 teaches us about a part of the church that was found by God to be more noble than others. These church members were open to what Paul was preaching but then they used their Old Testament scriptures to verify everything that was spoken was actually written in the Holy Book. The letters written to the church simply taught the people how to find Jesus and explain the many techniques that were used to conceal Him there. I write about this frequently because this is one of the number one problems that I face on my website. The only way that I have figured out how to get people to overcome not seeing the truth is by teaching it frequently over and over. Eventually people will either get tired of me saying the same thing and leave or finally get it into their spirit to believe. Why would God even mention Jesus and Abel in the same verse if they were not in some related classification together? Both were killed and both had their blood poured out on the ground during the commission of the act. God is giving you a clue about how typology works in this verse. God does not tell you everything that the type reveals so that you can still go and read it and discover more. This is called TYPOLOGY people and it is right in front of your face if you will just read it and see what it says. Let’s consider the O.T. man Isaac next. This was the promised son that God told Abraham would come. However Abraham got impatient and listened to his wife and they had an Ishmael through a maid servant. God specifically told Abraham that this Ishmael was not his heir. Years later the promised son was given and Isaac was born. The maidservant and her son were cast out of the family and God reveals in the New Testament that this is an allegory of a far greater spiritual truth. Remember when I talked about Jerusalem above versus Jerusalem below? These were revealed using a form of typology called allegory. Allegory is simply a real natural story that reveals a hidden spiritual story of greater importance. If you go and read Galatians 4 you will find that Sarah was a type of the city Jerusalem that was above. Hagar was a type of the Jerusalem that now is here on the earth. I’m not going to teach this lesson again here so I do not have to explain it over again. Just try to conceive what God has done in the Bible using typology. The promised son Isaac is a very specific type of the Lord Jesus Christ the promise made to the whole world. When Abraham took his son to sacrifice him a ram was conveniently caught by the horns nearby. The Ram is symbolic of God coming to the earth in the flesh take the place of Isaac. The typology within this story is rich and very deep with spiritual content. Every player in the story of Abraham, Sarah, Hagar, Ishmael and Isaac has a role in the greater spiritual story. God the father is the type of Abraham. Isaac was a type of Jesus Christ. As we have seen the city of Jerusalem in heaven a type of Sarah and the city of Jerusalem in the middle east a type of Hagar. I’m not here to teach this whole allegory, so we will move on. The subject of typology is found throughout the New Testament but let’s go back to chapter 7 of the book Acts. Earlier I gave you one verse from this chapter that was about Moses being given the heavenly patterns from God on the mountain. The rest of this chapter is also about hidden typologies found within the Old Testament. The man Stephen is speaking to the leaders of the synagogue and Stephen uses much of their law to try to explain why Jesus had to come to the earth. These are clearly all typology comparisons that were inspired by the Holy Spirit to teach them they were not seeing their scriptures correctly. These words are still true today for those that use private exegesis rules that disallow the use of Typology. If Typology is an invalid interpretation method then chapter 7 of Acts is from the devil. Please read this chapter carefully and learn what is being stated. Solomon is being stated by God to be a type of the coming Jesus in verse 47 who builds God a new spiritual house like Solomon did in the Old Testament. Also King David in the preceding verse is used to represent a type of God the Father in heaven. I’m just not going to spend the time to go through this whole chapter. You can do that for yourself. I hope and pray that you are beginning to understand typology’s significance in the correct interpretation of the Old Testament. I could have told you about many other types of Jesus found in the Old Testament but I gave you enough to prove the reality that it should make you change your perspective to how you read the Old Testament. Learn from early church Bible teachers like Peter, Stephen, Paul and John who write and taught initially from only the Old Testament foundational verses about Jesus. Try to understand how they applied the O.T. scriptures to mean what they were revealed to them by the Spirit of God to mean in the New Testament. When you read the Old Testament if you are not looking for Jesus primarily then you are probably missing the main reason that the words were written. Then when you find a type of Jesus if you are not looking at the other named individuals that interact with the type of Jesus then you are missing another of the main reasons that they were also included in the text. God’s intelligence is way beyond what you can comprehend. God will take words within natural stories and teach you such profound spiritual knowledge and wisdom that it is staggering to the human mind. If you learned anything from this lesson I would enjoy hearing about it. These positive comments will counter the negative comments that will also surely come. God Bless you and if you keep studying the Bible to find the truth, Jesus said that it will be found (John 8:32). Thank you!